Rugged backpacks designed and built for the mountain trails of rural Bavaria. In 1952, Jack O'Neill invented the wetsuit so that he could stay in the water longer. His simple ambition led to an extraordinary future, both for himself and the surfing world as a whole. 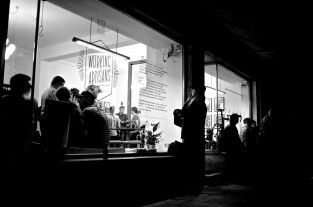 The Working Artisans' Club is the next chapter in that story - a celebration of modern makers, artisans and innovative craftfolk that will culminate in exhibitions in Germany and London. Throughout the year we've been profiling makers from across Europe in a series of short films on the website and articles in the magazine. The hardworking, no-nonsense people who live in the foothills of the Bavarian Alps that surround Leander Angerer’s Racing Atelier workshop are never far from his mind. Leander’s backpacks unite old concepts – like the traditional German kraxn frame – with new techniques to thrive in the rugged landscape of Southern Bavaria, but their toughness and usability can be appreciated by mountain-people and city dwellers alike. Working with metal, cuben sailcloth and tanned leather, Leander constructs each backpack from the ground up. Right down to buckles, toggles and fastenings, the form and purpose of every piece is deconstructed, artfully redesigned and hand-made to achieve a high level of durability, strength and personality. Leander puts painstaking attention and craftsmanship into every building block to ensure that all Racing Atelier products prove their worth over decades of dependable use in rural Bavaria and beyond. 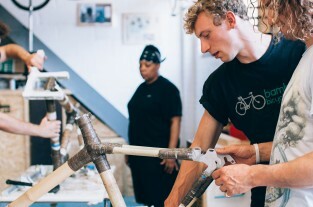 The Working Artisans’ Club is presented by Huck and O’Neill. 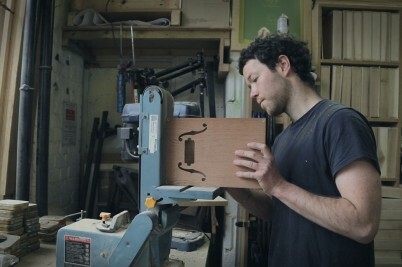 Stay tuned to Huck.TV and check out the mag for more stories of handmade creativity. The Working Artisans’ Club 2014 group show and workshops kick off in Munich, 16-19 October. Find out more here. The Working Artisans' Club 2014 exhibition and workshops kick off in the Bavarian capital, 17-19 October, presented by Huck and O'Neill. Award-winning beer, hand-brewed and bottled in Penryn. 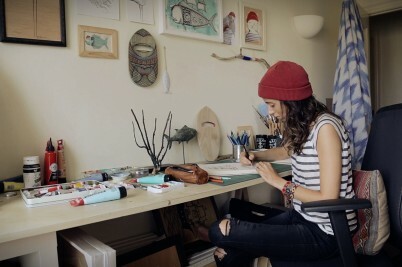 San Sebastian-based artist Daniela Garreton pays homage to the beauty of the sea. 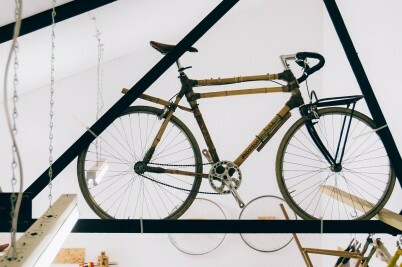 Bamboo bikes hand built in Hackney. 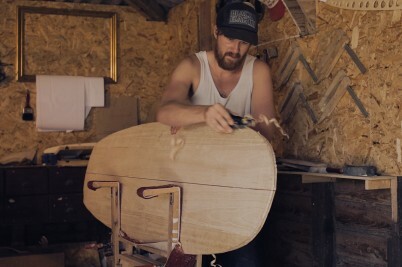 In his secluded Cornwall workshop, Paul Reisberg learns more about the world with each wooden surfboard he creates. Inspired by the freedom and spontaneity of Blues music, Drummond & Hammett craft handmade cigar-box guitars in their Bristol workshop.